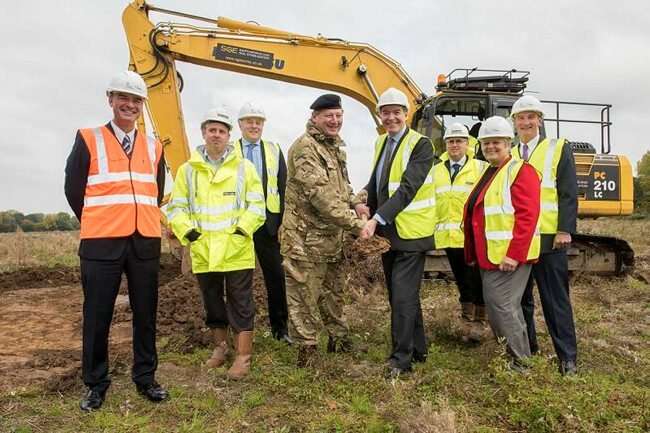 Construction work on the new £83m military logistics centre in Donnington near Telford has been officially started by defence minister Philip Dunne. The 800,000 sq ft Defence Fulfilment Centre will store food, clothing, general and medical supplies. Defence minister Philip Dunne launches construction at Donnington. It will be run by Team Leidos, which earlier this year won the Logistics Commodities and Services (Transformation) programme – a 13 year contract to manage up to £1bn a year of spending. It will take around one year to build and house two warehouses covering an area the same size as ten football pitches. 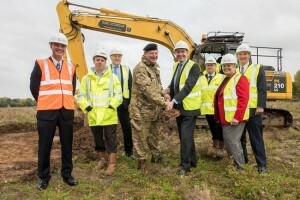 “I am very pleased to be able to mark the start of construction on the Defence Fulfilment Centre in Donnington which will help deliver the best support to our Armed Forces while ensuring value for money for the UK taxpayer, generating financial savings of around £500 million over the next 13 years,” said Dunne.